Modern golf is causing as many lower back injuries as contact sports, according to new research. Scientists from the Barrow Neurological Institute in Arizona studied the golf swing of current pros like Tiger Woods and compared it to the swings of former golfers such as Jack Nicklaus and Ben Hogan. Their analysis found that today’s players place much more emphasis on power, particularly on downswings, and as a result spinal injuries have become increasingly common among golfers. 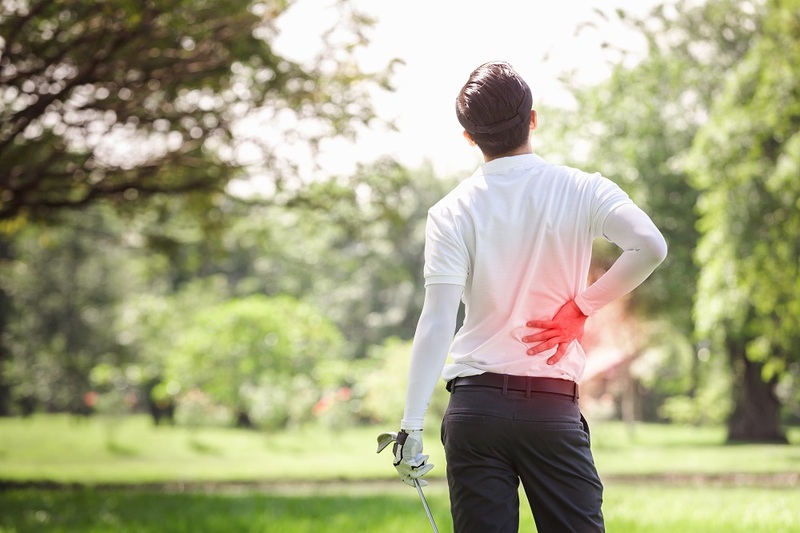 According to the study, back disorders are the most common golfing injury around, accounting for 55% and 35% of the injuries suffered by professional and amateur golfers respectively. One man who knows all about the risks of playing golf is Europe Ryder Cup captain and Golf Care ambassador Bernard Gallacher. We spoke to Bernard about this research, and asked him what measures today’s golfers can take to avoid the common injuries associated with the sport. “The speed at which today’s golfers are playing is unbelievable, so it’s no surprise that there’s a heightened risk of back injury within the sport. Modern clubs are lighter, which means golfers can swing as fast as possible. “I would advise all golfers to get to the course 20 minutes before they play and warm up by hitting a few balls and performing a few stretches. “Gym work is also important to strengthen your core. When Gary Player stressed the importance of regular exercise outside the golf course, nobody really took him seriously, but you’re seeing now just how important it is. For more information on how to strengthen your core and warm up properly for a round of golf, check out some of our other articles, including Training Tips For Senior Golfers and Best Golfing Warm-Up Exercises.